KonMari Sparks Joy on Netflix - Planet Aid, Inc.
Avid readers of our blog know we like to offer tips for staying tidy and saving resources. One popular resource we’ve shared is Japanese organization specialist Marie Kondo’s book The Life Changing Magic of Tidying Up, which sparked a Zen-like movement to organize the home. In case you haven’t heard the exciting news, you can now get your Kondo magic on Netflix too. 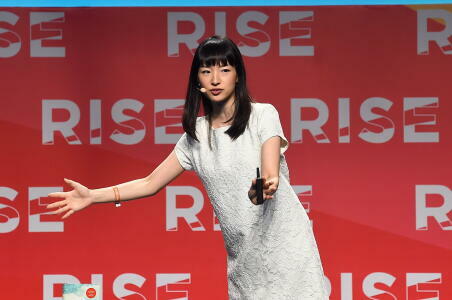 Tidying Up with Marie Kondo, the title of the new series on Netflix, is fast becoming a cultural phenomenon. The show involves Kondo visiting families in their homes to help them tidy and organize and find more meaning in their materialism. 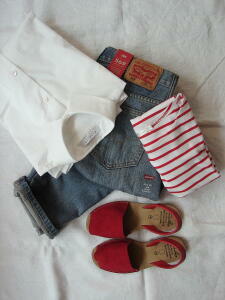 It has inspired viewers to do their own tidying and spurred a lot of activity on social media. For example, the hashtag #konmari on Instagram has accrued nearly 200,000 posts as of this writing. "Donations overall have increased, especially household items." Besides having a huge impact on social media, the KonMari method has had an impact at secondhand stores. Thrift stores all over the country have seen an increase in donations within weeks of Kondo’s show being released. We can testify to this fact ourselves as donations to the Planet Aid Thrift Center, our first large retail store, have picked up substantially. Cedric Horton, the Thrift Center’s manager is grateful that people are helping Planet Aid as they simplify their lives. "We are so thankful to the community for their outpouring of support,” he said. Cedric encouraged supporters who have large volume donations in the Baltimore area to contact him directly at the Planet Aid Thrift Center, which is located at 5425 Baltimore National Pike, Baltimore, Maryland. The overarching idea of the KonMari method is to discard items that lack value in your life. Once you discard items that lack value, you can begin to organize and tidy your entire living space. A clutter-free home can bring joy and prosperity to many people. 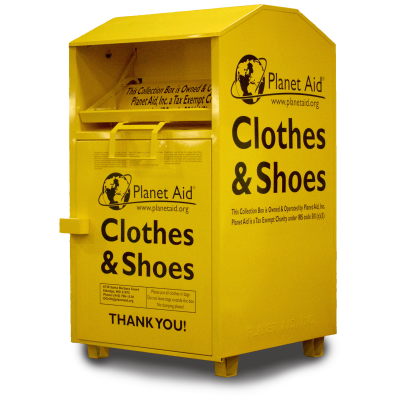 In addition to donating to our Thrift Center, remember that you can always donate unwanted textiles at one of our conveniently located yellow Planet Aid bins. Find out if we have a bin near you by using our bin finder: planetaid.org/find-a-bin. We take all donations large and small. If you have a large donation, please contact one of our 12 offices and warehouses.